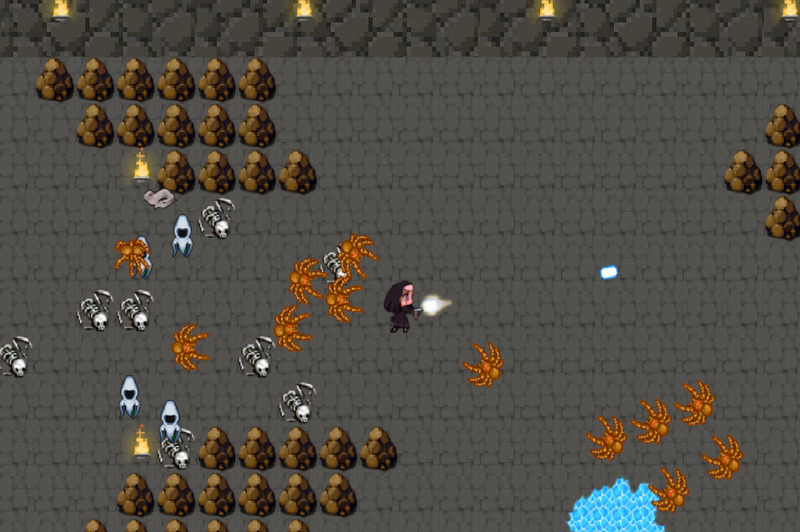 An HTML5 Gothic Bullet Hell in-development atm. 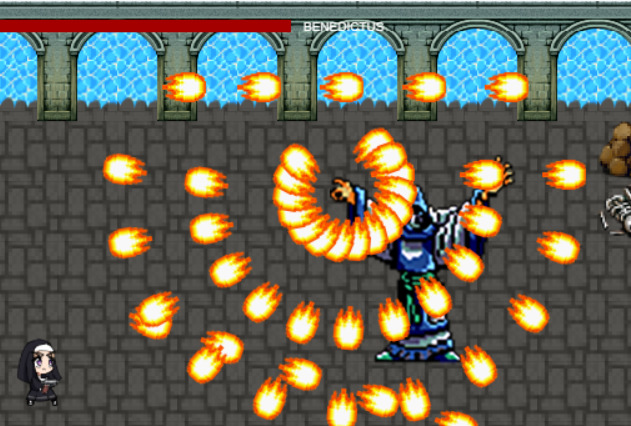 This game features a protagonist who is a nun, blowing away evil creatures to save little orphan children. 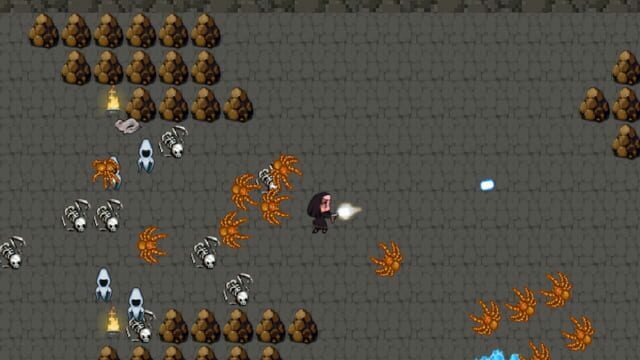 Nuns with Guns is a gothic, dungeon-crawler-bullet-hell that celebrates blowing away evil monsters with extreme prejudice (in order to rescue wee orphan children from demons). 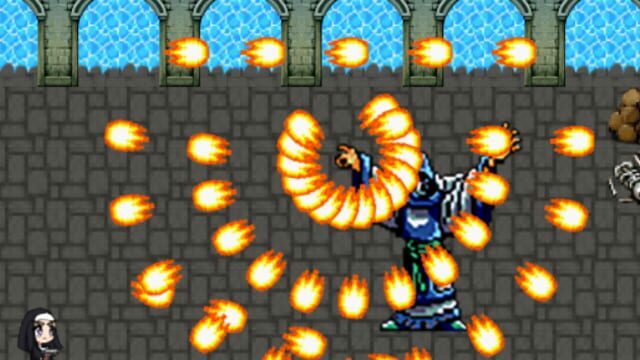 Eventually, our hero will blast her way through 8 stages of cartoony gore and violence in order to rescue her retinue of kids--recently kidnapped from St. Germane's school for the innocent.